Matt Munns has a vast knowledge within the property sector from construction to investing. 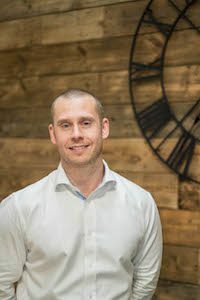 Over the last 18 years he has gained vast experience, starting off at an early age as a carpenter and for many years working on various projects from new build developments to large commercial conversions and developments. Buying his first property at 21 Matt quickly rented out rooms to cover all his living costs and knew there was something more to it than just having ‘lodgers’. This led Matt on to buying houses and converting them in to HMO’s which very quickly meant Matt was ‘financially free’ as the popular term goes. Since then Matt and Toni (life & Business partner) have established themselves as big players within the property industry and have successfully set up multiple businesses from an Estate Agency, Block Management, Sourcing/Deal Packaging, Rent to Rent, Serviced Accommodation to Investing. Best known for his sourcing business, this is all run remotely and operates nationally working with some of the biggest property buying companies in the UK. He is a strong believer in good systems, automation and outsourcing where possible to create businesses that still give you the freedom that you truly desire. Along with Matt’s strong drive and commitment to get the best possible results he has a great passion for helping others achieve and perform at their highest possible level. He believes everything starts with the right mindset and with each client this is something that he enforces throughout the coaching programme to ensure maximum results.